Are you looking for a new perfume? Recognised worldwide as one of the oldest cologne brands, 4711 Eau De Cologne has amassed a loyal following that spans over 200 years. The traditional German fragrance is available in a range of products. The hidden formula of the aqua mirabilis, also known as miracle water, has been a well-kept secret for centuries and emphasises the actuality of its historic roots. Perceived as invigorating and soothing in equal measure, ingredients include the unmistakable aroma of bergamot, lemon and orange to revitalise your mind, body and soul. With blends of lavender and rosemary to relax and steady any nerves and a note of neroli to soothe and guarantee a positive attitude. The secret formula of 4711 Echt Kölnisch Wasser is still appreciated across the globe to this day and makes the aqua mirabilis an absolute classic without comparison. The 4711 Acqua Colonia Lemon & Ginger is vitalizing and embodies the lightness of summer. A spray pump is included, providing the option of applying the fragrances either in liquid or in Natural Spray format. 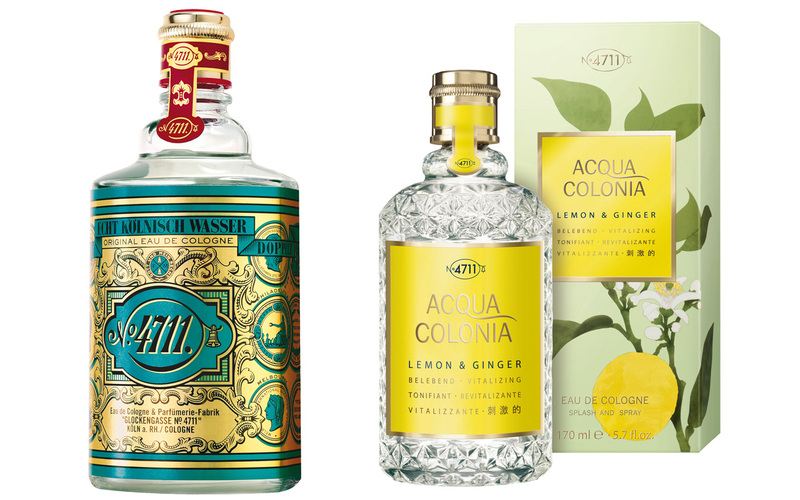 You can WIN the original 4711 Eau de Cologne and 4711 Acqua Colonia (Lemon and Ginger) worth £70 by just completing the form below. Winners were drawn on 17th May 2018 and notified by email. They are also shown on our winners page.